Each year, the Universe design team is faced with the feat of creating a new edition of the Housing Guide. To keep the magazine fun and interesting, each edition features a different theme throughout. After hours of brainstorming, elimination of ideas, more brainstorming, and more elimination, the treehouse theme was selected. 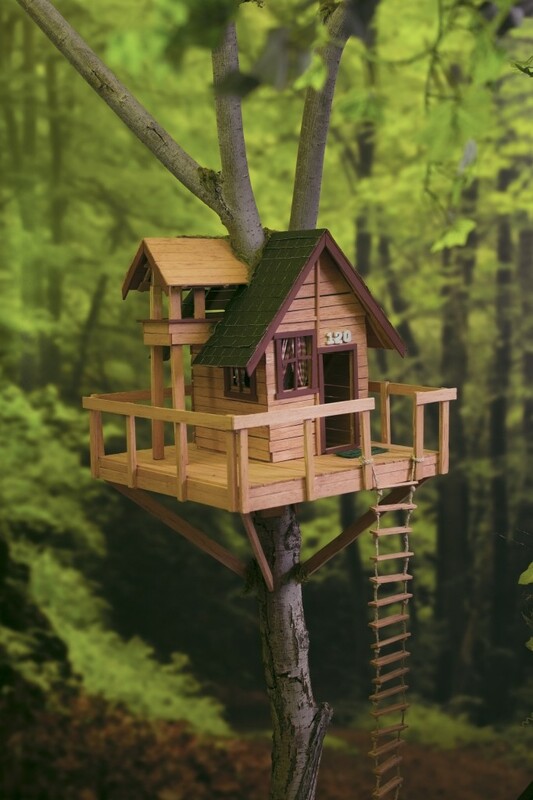 The idea; to create a miniature treehouse with rope ladder and all. Each editorial page would feature a different room of the house, filled with miniature refrigerators, couches, and computers. 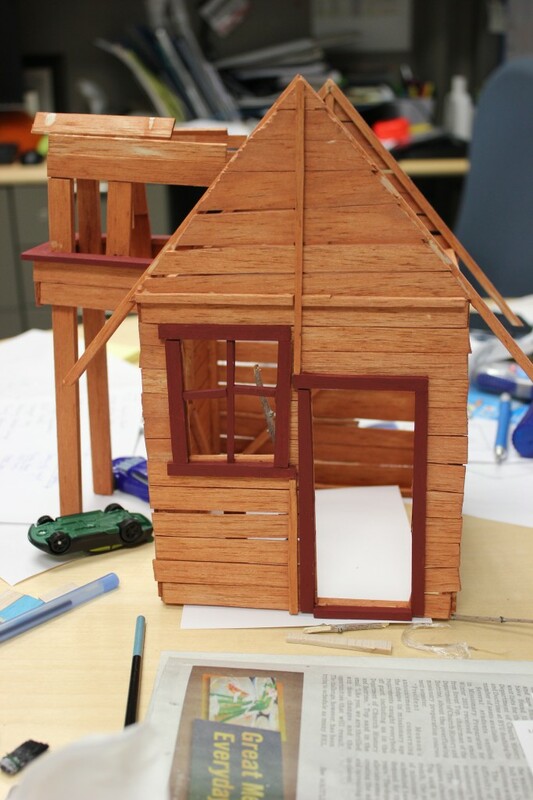 The designers teamed up with Production to create each small item for the house, creatively using balsa wood as well as utilizing odds and ends such as the metallic ends of pencils. The house suffered multiple natural disasters and rebuilds. 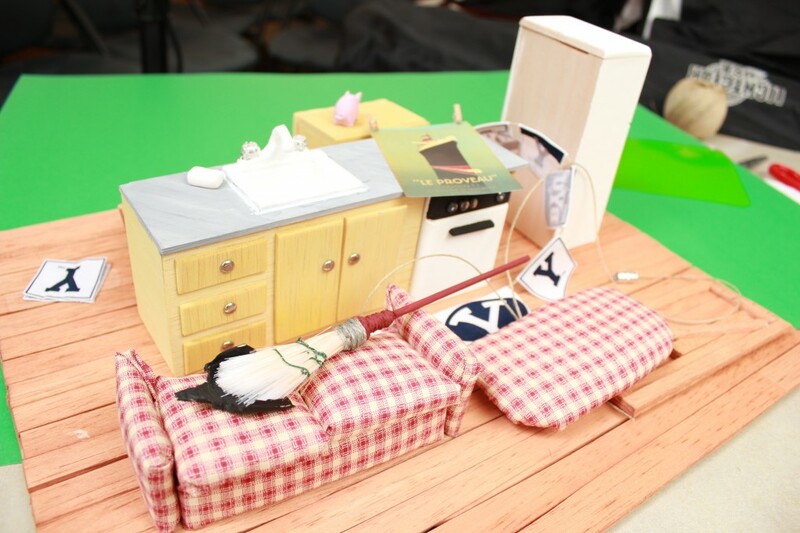 A few of the miniature items waiting to be placed on the set for shooting. 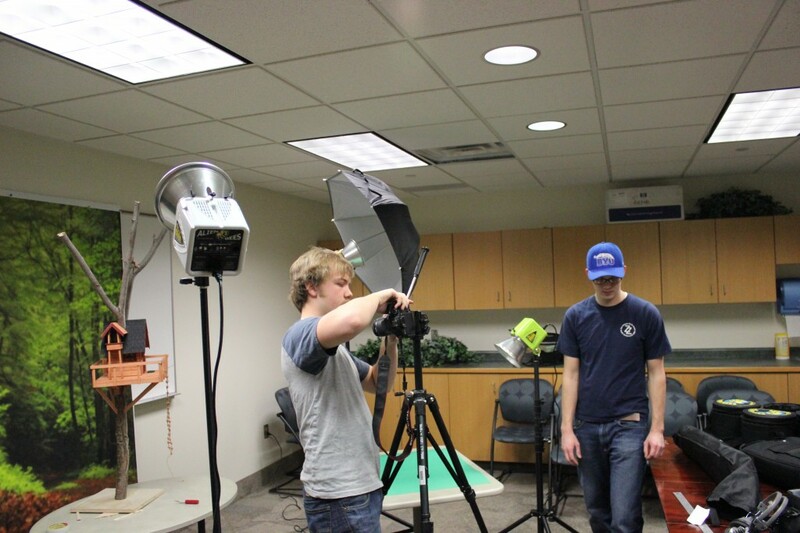 The crack team of photographers worked tirelessly on the multiple-day photo shoot. 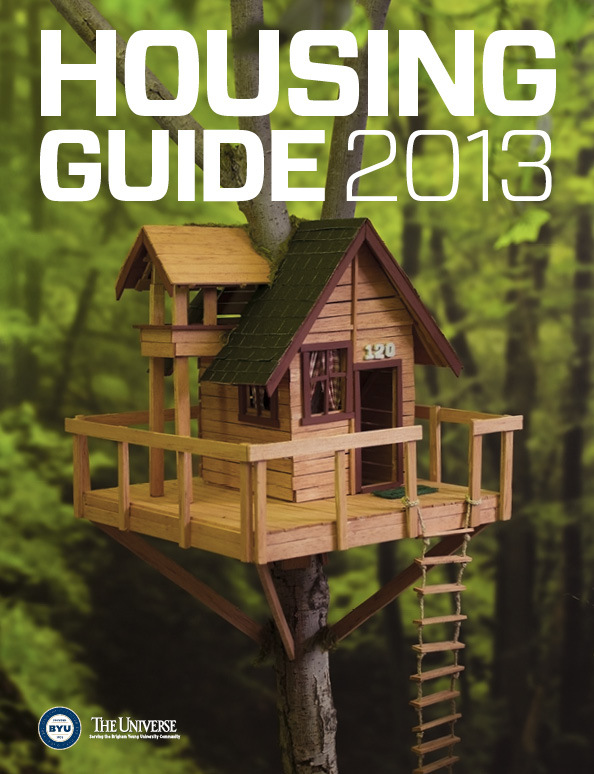 With some hard work by all of the members of the team, a great housing guide has been produced. Look for the next edition of the Housing Guide on the racks of the WSC or BRMB today, or check it out online at The Housing Guide Website.